More often than not, these types of accidents happen because of a business owner or city’s negligence. People can slip and fall on icy or uneven sidewalks or improperly marked wet floors resulting in broken bones concussions, and other various serious injuries. Property owners must maintain all aspects of their facilities. Any failure to do so could result in injuries and legal proceedings. Some injuries, such as brain trauma and spinal cord injuries, are so serious that they never fully heal and have a severe impact on every aspect of a person’s life. These catastrophic injuries usually cause permanent impairment and require extensive, costly treatment. For this reason, these kinds of claims are complex and require an experienced personal injury attorney. Car wrecks are such a common occurrence in our daily lives that they are one of the leading causes of injury and death. Did you suffer an injury due to another driver’s negligence? An experienced car accident attorney can help secure the compensation you deserve. Often, construction site accidents have a tendency to yield significantly more serious injuries due to the presence of heavy machinery and materials. Injured workers can potentially sustain lifelong disabilities and lost wages due to their injuries. Additionally, an accident on a construction site can harm passing pedestrians. Have You Wrongfully Suffered an Injury Due to Negligence? If you have suffered an injury due to someone else’s negligence, know that you have rights — and legal options. Whether you have slipped and fallen on company property, been a victim of medical malpractice or have been involved in a car accident, you can file a personal injury claim in order to receive compensation for your damages. 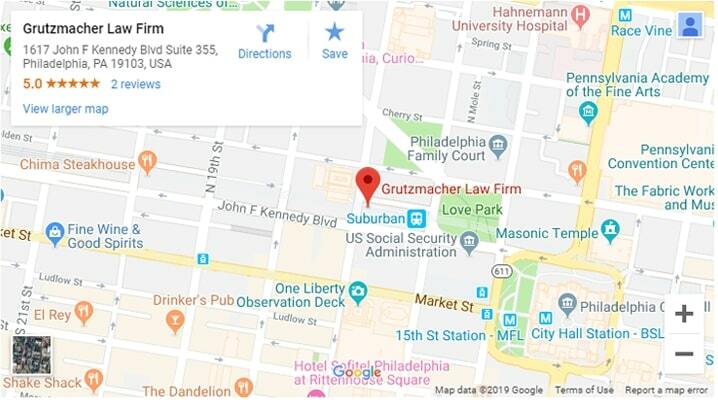 Philadelphia personal injury lawyer Adam E. Grutzmacher can build and present the strongest case possible during your proceedings as well as provide legal protection and fight for you.